Surf News Network, 25 March, 2015 – Honolulu – The 18th Annual T&C Surf / Surfer Magazine Grom Contest presented by Chili’s Grill & Bar returns on May 16 and 17 to Queen’s surf break in Waikiki, kicking off summer. This family friendly two-day contest is open to inspiring surfers ages 12 and younger who want a taste of competitive surfing in a fairly mellow setting. The Grom Contest is designed so all entry level surfers ages 3-12 years old are eligible to surf only one division providing the opportunity to more kids for a chance to compete. T&C Surf and Boys & Girls Club of Hawaii, our non-profit partner, produces the event each year to introduce young surfers to the world of competitive surfing in a less-intense setting. The general rule of thumb is groms who have not participated in NSSA or HASA or similar ranked contest may compete. The contest is usually at full capacity each year, so make sure to get your entry in early. All contestants receive a contest T-shirt, lunch, and goodie bag. 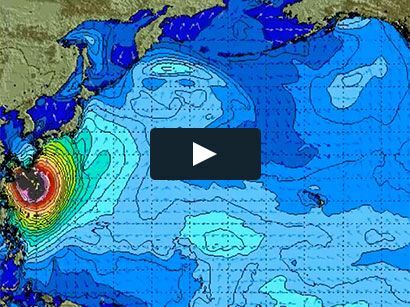 “The Grom Contest has become an annual event that I always look forward to. It always brings me joy to see kids experience the stoke of surfing. I am really proud of how we have grown the event and placed the focus on fun and giving new kids an introduction to competition. The event always delivers endless smiles and fun” says Craig Sugihara, president and founder of T&C Surf. The contest has grown so popular that T&C Surf added a kokua division a few years ago for keiki ages 3 -6 years old. This division is expected to be sold out again this year. Adults are allowed in the line-up during these heats to help little ones catch waves. 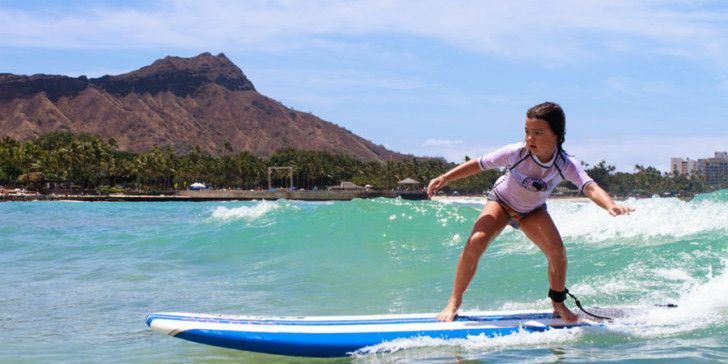 It gives the youngest of surfers the opportunity to take part in a contest with some extra parental support. Kids also get stoked about being in the spotlight of Surfer Magazine, the shared title sponsor of the event. Many of Hawaii’s notable surfers, who now grace the pages of surf magazines worldwide, got their start at this grom contest. The fun kicks off Saturday with preliminary heats in three divisions for boys and girls: shortboard, longboard and bodyboard (schedule is subject to change). Passing the time between heats, kids enjoy beach games with opportunities to score prizes from their favorite surf brands. Before the sun sets, the top young surfers will advance to the finals on Sunday with the top six in each division receive trophies and prize packs filled with surf products from event sponsors. Adults can also join in on the fun by signing up for the FreeSurf Magazine Expression Session. Grown-ups join keiki in a special adult/child tandem surf event that gives them the opportunity to share the waves ohana style. “If there is one common element which drives all of us to hit the beach and play in the waves its called “youthful exuberance”. That is precisely why we are very proud to be associated with the T&C Grom Fest ! The gromfest is one big happy example of youthful exuberance! In a world full of challenge it’s a great reflection of pure stoke and fun in the sun…” says Mike Latronic, publisher of FreeSurf Magazine. The Expression Session is open to all adults and children (under age 5). On-site entry is free (limited to 10 entries) and prizes and trophies are awarded to the top three teams. T&C Surfer Grom Contest is presented by Chili’s Grill & Bar and supported by GoPro, Dakine, Vans, Naked Juice and BoardStories. The Boy’s & Girls Club of Hawaii has been the local non profit partner for the event for many years now. Entry forms are available at all T&C Surf locations, online at TCSurf.com/grom15 and on facebook.com/TCSurfGromContest. A portion of the proceeds from contest T-shirt sales will be donated to the Boys & Girls Club of Hawaii.